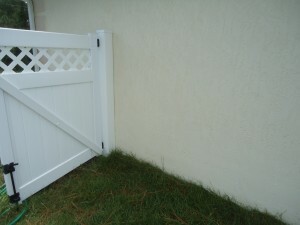 Professional Pressure Washing Services in Venice, FL. Your house is most likely your biggest investment, and your roof is one of the most expensive parts of your house. It is extremely important to have the utmost in confidence in your decision before hiring a qualified roof cleaning contractor. A-1 only use chemicals approved by the ARMA, RCIA, GAF, Owens Corning, and Monie Tile. As strictly recommended by the manufacturers we does not use a pressure washer to clean roofs. We also provide our roof cleaning customers with a technical bulletin directly from Asphaltroofing.org to prove that our roof cleaning procedures and chemicals are properly formulated for roof cleaning. Our chemicals provide enough cleaning power to remove all roof mold, mildew, and black streaks on your roof…without using any pressure washing or heavy rinsing. We guarantee your roof will look brand new after cleaning. Statistics show that more than 50% of the people that replace there shingle roofs is due to the way they look. Why replace your roof, when you can simply clean it and add many more years of life to it. Pressure washing is never recommended to clean a roof because it will remove a large amount of the ceramic coated granules from your shingles and the clear protective coating that tile and metal roofs use to reflect UV rays, which will void the roofing warranty. Even low pressure will cause roof granule loss and shorten the life of your roofing shingles. If you have ever cleaned out the inside of your gutters you will notice dislodged roofing granules in them just from the rain taking them off. Just think what any additional pressure would do to your roof. For instance, you see someone cleaning a roof in with pressure and it appears they have done a good roof cleaning job just because the black streaks and roof discoloration are gone, but guess what? 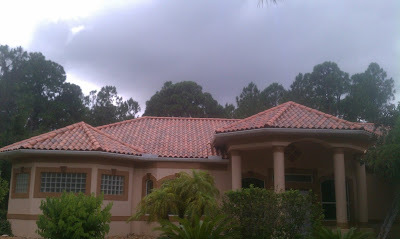 So is a large amount of the roofs protective ceramic coated granules, and the clear coat protecting your tiles and metal shingles which insure your shingle’s warranty. Nobody wants to replace a prematurely failed roof in due to an incompetent roof cleaning contractor, and you shouldn’t have to. A-1 offers a 3 year written clean roof warranty against any streaks reappearing on your shingles! Always use a ‘chemical only’ cleaning process for your roof. Roof Cleaning is a completely different trade from pressure washing, requiring different pumps, plumbing, hoses, nozzles, valves, chemicals, caution, knowledge, experience, skill, and insurance. A-1 has all of the necessary tools, knowledge, and man-power to complete your job safely. Our roof cleaning chemicals do all of the work to remove black streaks and Algae discoloration from your roof and require no pressure or heavy rinsing. 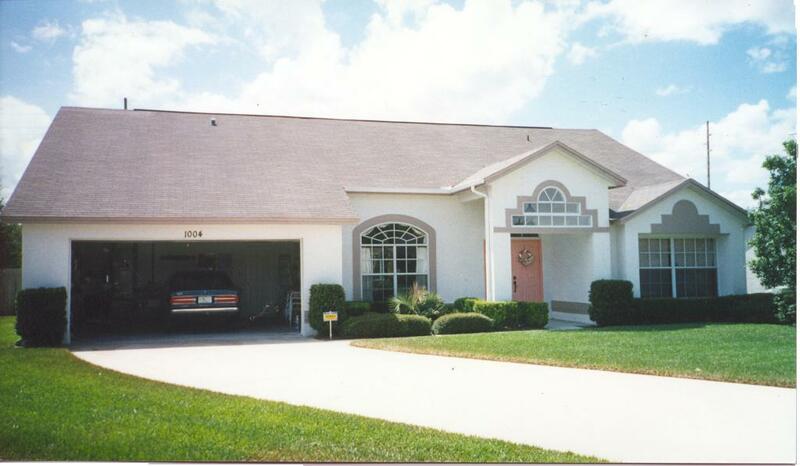 Because we do not have to rinse, your roof will stay cleaner longer than our competitors! Leaving the chemicals on the roof creates a roof treatment or a hostile environment for future algae growth. Each time it rains, a small amount of roof cleaning chemical is washed off to help re-clean your roof over and over again. Concerned about your plants, pets, and landscaping? We only spray the roof, not your plants. We always bag the ends of your downspouts and collect all the chemical run-off from the roof and dispose of them away from your landscaping. We always have a man on the ground constantly watering and protecting your plant. After all the roof cleaning chemical biodegrades and evaporates from the roof, the dried crystals and surfactant act as a roof treatment and keep the roof cleaner longer as it rains. What you see on your roof is not dirt! The blackness is actually mildew that lands as a spore, germinates and then grows using the roofing surface as a nutrient. 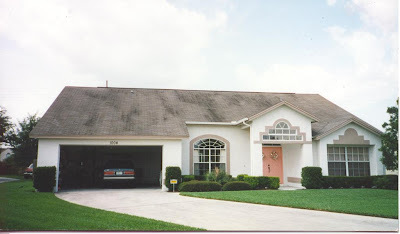 Green mildew will always appear initially on the north side of your house and roof in Florida. This is because moisture stays there longer and mildew needs three things to grow: moisture, heat and some sort of nutrient. The humid, rainy climate here in Florida is ideal for Green Mildew and Black algae growth! 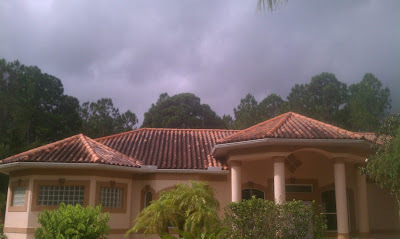 Other variables besides the direction your house faces are the type, grade and manufacturer of your roofing shingles or tiles, whether your have a pond or swimming pool nearby creating abundant moisture and hot/humid weather here in Florida. Continuous warm humid weather in Florida promotes mildew growth. Shade on your roof provided by nearby trees can promote mildew growth due to increased moisture, as well as leaves and pine needles that sit on your asphalt shingle or barrel tile roof extended periods of time. Why Should I Clean My Dirty Roof? Besides being an eyesore, a mildew-covered roof in Florida can actually be unhealthy to some people with allergies. Over time mildew and black roof algae can breakdown the shingle or tiles and dramatically shorten the life of your roof. A mildew-covered roof also keeps under rood temperatures a lot higher by preventing the reflective capabilities of your shingle granules or tiles from doing their job. These higher temperatures make your air conditioner work a lot harder and increase your electric bills sometimes as much as several hundred dollars a year. 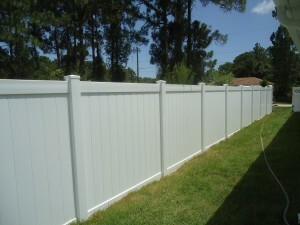 Finally, homeowners associations here in Florida are becoming more abundant, primarily to maintain and enhance value of the individual homes and neighborhoods. 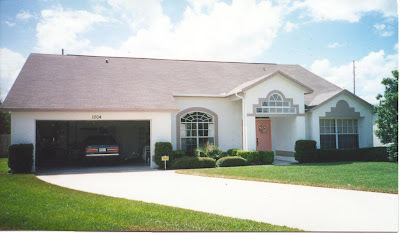 The main reason homeowners want their cleaned in Florida is to keep them looking clean and new. 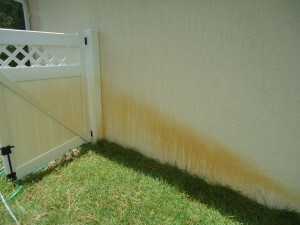 Professional Exterior Rust Removal Services by A-1 Pressure Washing. Serving Sarasota, Charlotte, Manatee, and Lee Counties including North Port, Venice, Sarasota, Lakewood Ranch, Bradenton, Englewood, Port Charlotte, and Punta Gorda. Does your property suffer from hard water deposits and rust stains? A-1 Pressure Washing offers professional rust stain removal to Sarasota, Charlotte, Manatee, and Lee County including North Port, Venice, Sarasota, Lakewood Ranch, Englewood, Port Charlotte, and Punta Gorda. Using the world’s best rust remover – F9 BARC, A-1 Pressure Washing is able to safely remove rust stains caused by irrigation stains, fertilizer stains, orange acid burn, battery acid, lawn furniture and decor from concrete, driveways, sidewalks, pool decks, siding, fences, and more! Don’t let rust stains bring down your home or offices curb appeal. 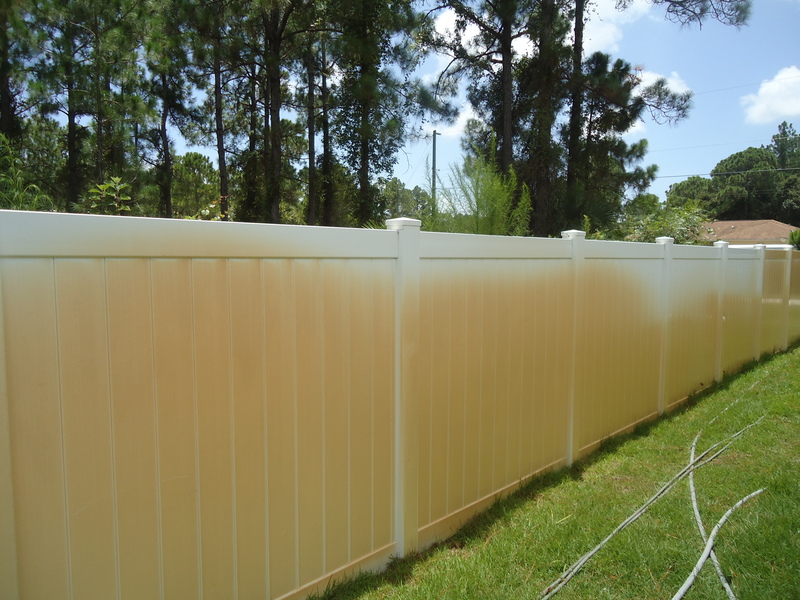 A-1 Pressure Washing offers affordable residential and commercial rust stain removal to Sarasota, Charlotte, Manatee, and Lee County.